Trespassing along railroad and transit rights-of-way (ROW) is a leading cause of rail-related deaths in America. Almost every two hours someone in the U.S. is hit by a train. 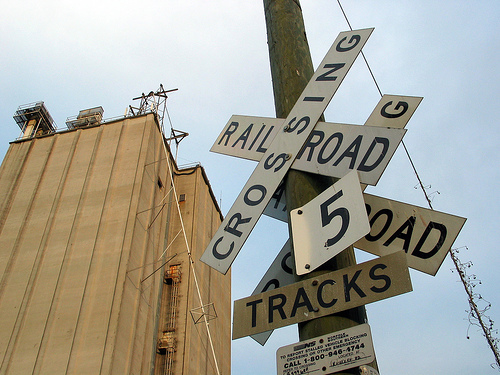 Highway-rail crossing and trespasser deaths account for 90 percent of all rail-related deaths; more than 550 trespass fatalities and nearly as many injuries occur each year. Sadly, most of these accidents could be avoided if people paid more attention to warning signs and signals. Also, many pedestrians aren’t aware that it is illegal to trespass on railroads and transit ROW. Hoping to shave time off their busy schedules they choose to jog, ride bikes, and walk near or over tracks daily, needlessly endangering their lives and the lives of train crews. While many of these fatalities and injuries occur because people disregard warning signs, some are a result of people not understanding that a train can travel through a segment of track at any time, often with less than a minute of warning. Some think they will hear the oncoming train or that the train will be able to stop in time. They don’t realize it takes a train traveling 50 mph a mile-and-a-half to stop. That is why the Federal Railroad Administration (FRA) launched a public information campaign last year to educate the American people that they should always “expect a train.” The goal is to save lives and minimize injuries by changing the public’s behavior through increasing awareness of the dangers at highway-rail crossings and trespassing on railroad property. Education is the most important element of the FRA initiative with the expect-a-train lifesaving message being the emphasis of a nationwide multimedia campaign that aired on television, radio, and in print nationwide in English and Spanish. The Department of Transportation (DOT) has also partnered with state and local governments, transportation and civic associations, schools, and all possible partners to help educate the public. Click here to view a public safety campaign media message from Union Pacific Railroad.